A wider shot of the gap in Kreuzberg’s East Side Gallery at the entrance of the Wall Museum and the Spree embankment. 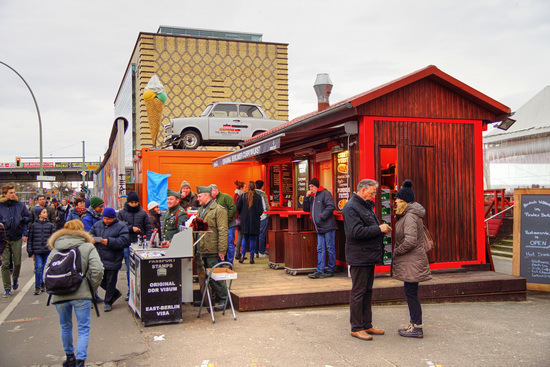 Here you can see the Trabi car again which has a sign painted on the side advertising the Wall Museum! Next time I’m in Berlin I’m going to get a better shot of this area.